Want both power and portability? This is your PA speaker! 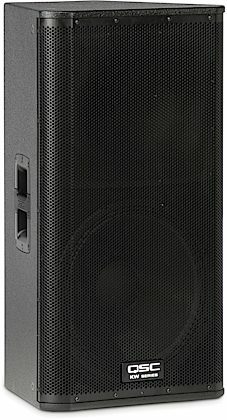 With a 2 x 500-watt bi-amped system, the QSC KW152 powered loudspeaker is can fill a room on its own -- plus it's ideal for clusters or arrays in large-venue installations, thanks to its long-throw design and focused 60-degree pattern. It's also built to travel, with a lightweight-yet-rugged birch enclosure and comfortable cast-aluminum handles. QSC loaded the KW152 with state-of-the-art digital signal processing to help you get the most out of your 1,000 watts. Just flip the DEEP switch to hear increased low-frequency extension, without distortion or woofer over-excursion. 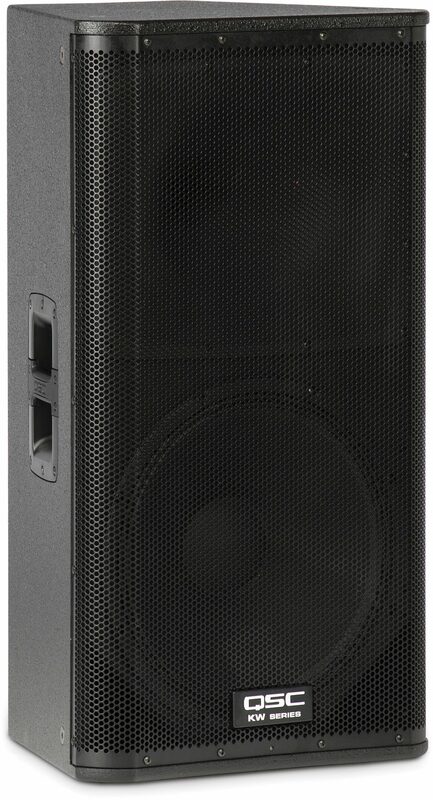 When you consider all the connection options on the back panel of the KW152, it's simply one of the best loudspeakers available for no-compromise music and speech reproduction in large or mid-sized venues. The KW series draws its name from QSC's kilowatt amplifier module. Like all KW powered loudspeakers, the KW152 has a Class D bi-amped design, with a 500-watt low-frequency and 500-watt high-frequency amplifier. Most two-way powered speakers have a lower-powered high-frequency amp that can easily be pushed to audible distortion -- which can stress or even destroy the speaker. But with 1,000 watts of continuous power, and 2,000 watts peak, it's nearly impossible to overdrive the KW152. Plus, this speaker is smart about power: when the KW152 doesn't sense input to its amplifier for five minutes, it automatically enters standby mode to conserve energy and extend the amp's lifespan. The instant signal is restored, the processor turns the amp back on with no noticeable audio delay. This means your system will conserve resources without you even having to think about it. Full-range speakers like the KW152 deliver audio over the entire audible spectrum, lows to highs. But as any engineer will tell you, low frequencies naturally disperse over a wider pattern, while high frequencies tend to "beam," or deliver audio to a narrow area -- like a beam of light. Professional PA speakers use waveguide horns to disperse higher frequencies out across the audience. But typical waveguides are asymmetrical, wider than they are tall -- so they can't control the pattern all the way down to the crossover frequency. This means that key mid-range frequencies -- where most vocals and instrumental solos live and die -- end up as the least evenly dispersed. In contrast, QSC employs their Directivity Matched Transition technology to match the width and height of their speakers' symmetrical waveguides to the size of their woofers -- 15 inches, in the case of the KW152. What does this mean for you? An incredibly smooth, consistent response across the entire listening area -- even off-axis from the loudspeakers. Designed as "long-throw" loudspeakers, the KW152s are designed to disperse the full range of audible frequencies smoothly over a 60-degree angle. This relatively narrow 60-degree pattern means higher acoustic output over the distance necessary to fill a large venue. These speakers are great at covering long distances on their own, but one of the benefits of long-throw loudspeakers is that they make excellent modular "building blocks" for arrays or clusters. 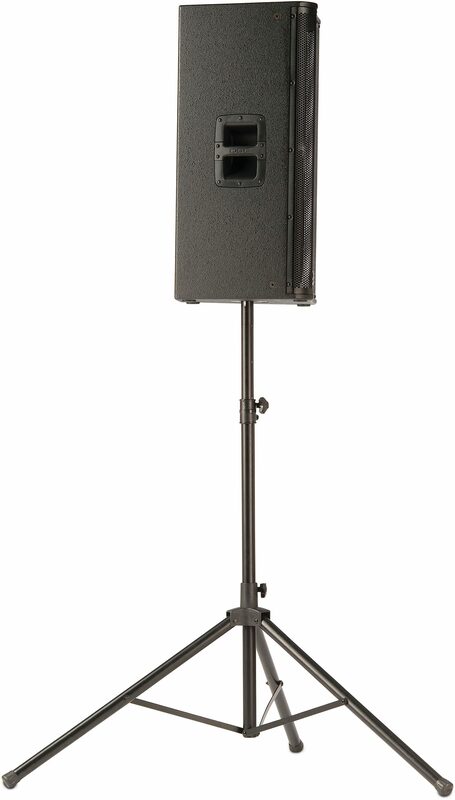 Two or more KS152s can be mounted together to cover a 120-degree or more angle, with minimal comb-filtering -- unlike short- or medium-throw speakers whose wider dispersion patterns would cause overlap. 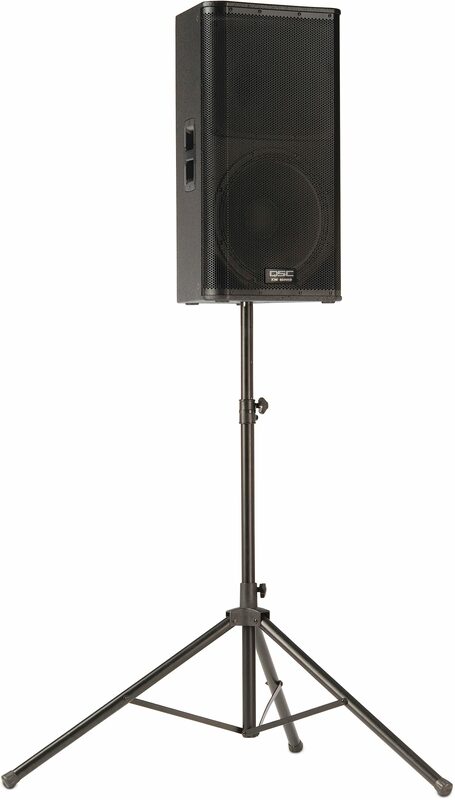 The KW152s are perfect for vertical arrays or clusters in large venues where high SPL is needed over a long distance. 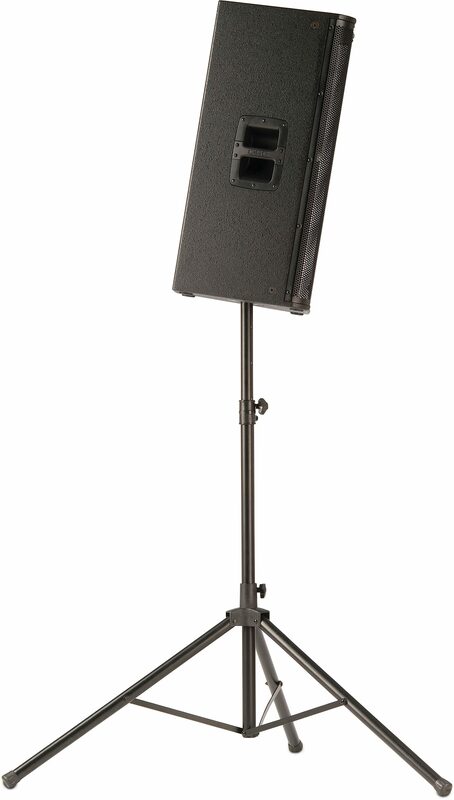 A KW152 also makes an excellent side-fill or drum-fill monitor on stage -- the 60-degree pattern lets you aim the speaker precisely where musicians need to hear it with less bleed, resulting in higher gain-before-feedback for your microphones on stage. As a two-way speaker, the KW152 covers high frequencies up to 20 kHz with a 1.75" compression driver, while the 15" woofer is capable of reproducing low frequencies down to a growling 44 Hz. And if that's not impressive enough -- flip a switch on the back of your KW152 to activate DEEP mode: Digital Extension and Excursion Processing. More than just a low-frequency EQ boost, DEEP employs sophisticated digital signal processing to identify and limit the brief low-frequency transients that could potentially cause amplifier clipping distortion and over-excursion of your KW152's woofer cone. This virtually inaudible limiter increases the average output of bass frequencies. With DEEP processing power on board, KW152s are great on their own for streamlined setups, but they're also excellent when paired with external subwoofers like QSC's KSub or KW181. Just flip the External Sub switch to engage a 100 Hz high-pass filter -- and use those 1,000 watts even more efficiently. In addition to DEEP for the low end, the KW152 gives you DSP control over high frequencies with application-specific EQ settings. After all, full-range music reproduction has different demands than speech reproduction. That's why all speakers in the KW series have a HF switch you can set to "Flat" for full-range music, or "Vocal Boost" for increased intelligibility and presence for speech or vocal-only reinforcement. And the KW152 also employs QSC's exclusive Intrinsic Correction EQ, which implements FIR linear phase filters more commonly found on high-end DSP processors to actively adjust the speaker's response, helping deliver consistent sound over the entire audience. Aesthetics play a large part in QSC's speaker design, and their professional, tasteful appearance puts them at home in any environment, from houses of worship to rock concerts. On the front of your KW152, you'll find a blue LED that's more than just a simple power indicator. Flip a switch to activate one of three modes: power, to indicate that the speaker is powered on; Limit, to indicate when the speaker's onboard limiter is engaged, and Off, for applications when a bright blue light isn't consistent with your event or venue's aesthetics. No matter the venue, QSC's V-LOCK power cords latch to prevent your speakers from being unintentionally unplugged -- especially useful if they're placed on a floor. These special power cords lock in with a click. And if your KW152s' cables are ever damaged or lost, standard IEC power cables will work just as well. 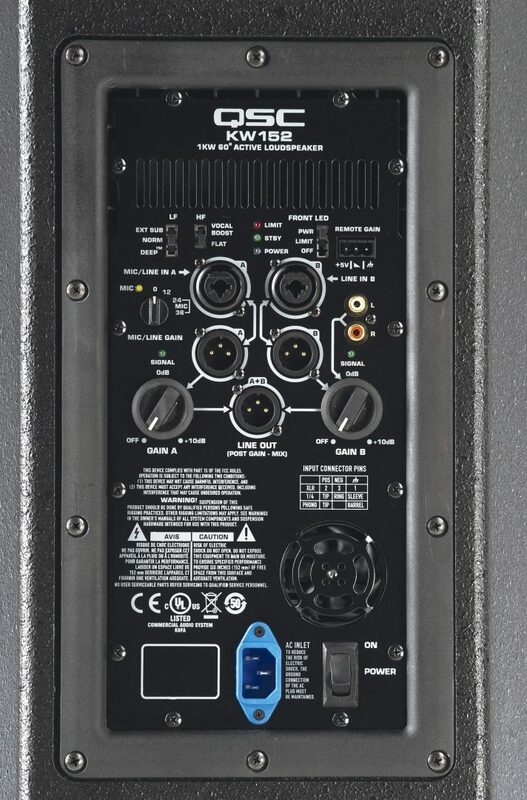 Take a look at the back panel of your KW152 to see its many input options. Channel A accepts a microphone-level or line-level input via combination XLR-1/4" jacks, while Channel B accepts a line-level input via combination XLR-1/4" jack or a pair of RCA phono jacks. Stereo input received here will be summed to mono for output through the speaker. You'll find individual gain controls for channels A and B on the back of your KW152. There are also discrete line-level XLR outputs for channel A, channel B, and the post-gain mix of all input channels -- perfect for sending to a subwoofer. With its included pole socket, the KW152 is ideal for mounting above the KW181 subwoofer on a 35 mm support pole up to 36" long. And when mounting your KW152s on high wall mounts or stands, you can safely angle the speakers at a 7.5-degree angle with the built-in Tilt-Direct pole cup mount. Tilt-Direct makes it easy to focus acoustic energy on the audience -- not on reflective surfaces like the back wall, ceiling, or the front of the balcony. Want to sit your KW152 on the stage for a side-fill? How about on the floor, or directly on your subwoofer enclosure? No problem -- it's equipped with slip-resistant feet. QSC even makes it easy to suspend your speakers from the ceiling for venue installations: the KW152s are outfitted with multiple suspension points -- two on the top and bottom, and two on each side for horizontal orientation. Angling your KW152 toward the audience, vertical or horizontally, with three suspension points on the rear sides and center. Not only are active, powered speakers like the KW152 simpler to set up, they are inherently more robust than component systems with separate passive speakers and power amps. Power amps could potentially damage passive speakers if their impedance and wattage isn't properly matched, but with the KW152, there's no worry about wattages and no heavy power amps to lug around. If the KW152 were a passive speaker, it would need an enormous amplifier to safely push it. 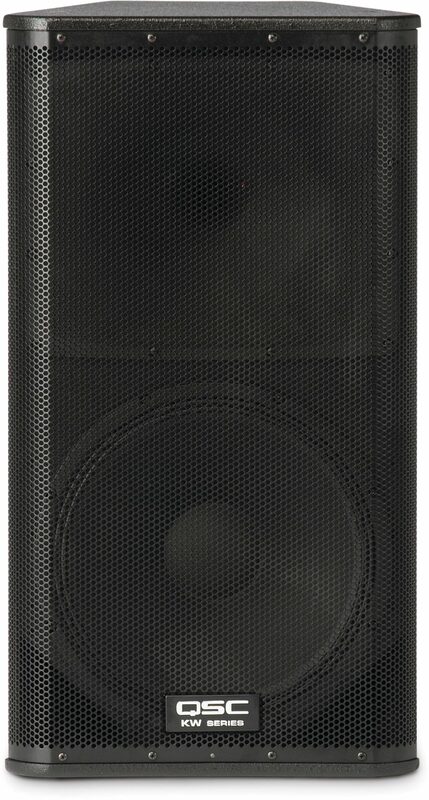 Luckily, the KW152 is an active speaker with the amp built in -- safer to operate, and simpler to install and transport. Whether you're building a high-end mobile PA, or outfitting your venue with a sound reinforcement installation, you have a choice. You can go with cheap speakers and hope for the best -- or you can step up to QSC's powerful, portable KW series. Building on the success of QSC's K Series, the KW Series represents the next evolutionary step in wood enclosure loudspeakers. QSC system engineers have created the KW Series to feature all the groundbreaking electronic attributes of the popular K Series while at the same time designing a product that is both smaller and significantly lighter than previous wood enclosure models. Like K Series, each of the four KW Series models features a QSC designed, 1000 watt (2 x 500) Class D power module. And continuing in the K Series tradition, every model is fitted with the identical high-output 1.75" HF device (full-range models) and woofers of the same high quality design, regardless of speaker size. Directivity Matched Transition (DMT) provides for matched LF and HF coverage across the entire listening area, eliminating unnatural "dead" or "hot" frequency zones. Intrinsic Correction, first featured in the high-end line array products maps 65-75 spatially-averaged measurements to IIR and FIR filters that actively adjust time, frequency and amplitude response to a maximally flat bandpass target. The result is a speaker that behaves equally well across the entire sound field. DEEP and excursion limiting allow for extended low-frequency response by actively managing low-frequency transients without degradation of the underlying signal or adjacent frequencies. GuardRail(tm) protection, first introduced on the GX Series amplifiers protects both the amplifier module and your performance from unnatural and destructive clipping. KW Series features a four-position mic / line gain switch that allows for connection of a wide variety of devices. Combo XLR and 1/4" TRS inputs accept both mic and line level input while a set of RCA phono inputs (except KW181) allow additional connectivity to portable MP3 players, CD players and line-level mixers. Up to three audio sources can be mixed internally and summed to a balanced output for "daisy-chaining" of multiple units. Separate direct outputs are also provided on each channel for additional output flexibility. On-board switches provide preset EQ settings. The HF setting (full-range models) can be set to Vocal Boost for additional presence in the critical mid-frequency area or Flat for accurate reproduction of the incoming signal. The LF switch can be set to Norm, DEEP for additional bass extension, or Ext Sub (full-range models) for use with an external subwoofer. The rear panel LED switch can be set to Power, illuminating the front-mounted LED when the unit is powered on, OFF for applications where it is not desirable to illuminate the front LED, or Limit which indicates to the system operator that the clip limiter circuit has been engaged during operation. The KW122 and KW152 feature a unique Tilt-Direct pole cup mounting system. A simple turn of the dial engages a 7.5 degree downward tilt of the speaker allowing acoustic energy to be kept on the audience and off reflective surfaces for applications where maximum coverage from a high-positioned speaker is desired. Remote gain control capability is offered via a potentiometer (not included) connected to the on-board Phoenix-Style connector. In an installed application, multiple KW Series speakers can be "daisy-chained" for total gain control from a single remote pot. Auto-standby mode is engaged after 5 minutes of inactivity. KW Series is designed to withstand the rigors of professional use. Advanced construction processes, premium-grade Baltic birch cabinetry, ergonomic, cast aluminum handles, low-noise casters (KW181) and a highly protective steel grille provide for ease of transport and long term durability. Integrated M10 suspension points allow for flown applications with a KW M10 KIT (sold separately) and a threaded pole receptacle (KW181) provides for a positive, wobble free connection to a threaded speaker pole (included). This review has been selected by our experts as particularly helpful. "For the Bucks you can't go wrong"
Sound: I am using it to replace some older JBL's MP225's that I had rewired to bi-amp. I was looking for something lighter and powered. I set them up in my garage to do a small test. I just set them right on top of my sub's two double 18's Peavey QW's with 8ooo watt's pushin em switched them to ext. sub and they kept up with no problen! I carry a DB meter to set levels when we are in a small room drove them to 124 DB and they didn't even clip. I am going to buy two more and have a fly arm built and get em up there about 12 to 14 feet.with just the mid's and highs comming through them for the money you can't beat em, PERIOD.The Buckster Feature: They come with all you need. I really like the locking high voltage lines. I contacted QSC about flying them and I was told not to hang them from one another due to phase cancellation, You would have to set the lower speaker cab down @ 45degrees to keep the horns from overlapping. They said you would need to it on the vertical, which would be a pain in the a%$. I will keep em for a amall system and buy the KLA's which have a much narrower dispersion on the horns. Ease of Use: All the manual's are straight foward and to the point I really like the disc they send with them so you can file the mess in yo puter and forget it. If you know anything about sound and can read the back of the cab. They are a breeze to set up and use. As far as what I do with em, I run a five peice classic rock band through with using 19 channels,,,everything is mic'd up. We are doing a out door festival at the end of this month we shall see how well they carry it down the street. Quality: I have been doing this for around forty years now,,,Yup I is an ol'fart but I still ROCK. I have been around and have owned some really nice stuff over the years and would say it is built as well as anything out there. I pushed them suckers with the sub's at that level for around three hours straight if they were goin to fail I would have fried em. I couldn't even get em to clip! But again I have them in ext sub mode which according to QSC is a bi- amped Mid and high only set up. The finish is as good as the rest perhaps a little bit better the splatter paint is repairable if you ding one up. I bought the covers which are very well made. The Life? I have been running crown class d's bi amped on my monitors for around six years with a drive rack,,and knock on wood have not a crash one. Value: They are well worth the money like I said I am ordering two more today but I am going to add the 152's for the versatility. Manufacturer Support: I have been using QSC's for around 25 tears they tech. guys are the best and I mean that. Most folks think crown is the one and only for pro gear. It is without a doubt very good gear But still own two of the old MX1500a's they are still my monitor rack and still gettin up just as clear as the day I bought em. The guysand girls @ QSC are very in tune witcha and can tell what what you need to know normally right the or the most I have ever had to wait on a call back was around 15 min's try gettin that from crown or any of the other companys.. As far as service honest to god truth never needed any again knock on wood man... The Wow Factor: I don't think I would want to sleep wit em but they are are tuff looking cab's. Just pick one up and you feel how well ther're made Overall: I'll hold on to em till some try's to steal em but they gotta get by my M-4 first. I will hand on to em for smaller gig's. But I already am getting quotes on a complete KLA system I have already put all my other gear up on consignment at a local store. I considered the JBL vertec but I am leary of the curves at the horn end of em. Looks like a wound waitin to happen. The only draw back is the fact that I can't fly em like I was hoping I could. But I have a friend who's a machinest and he's is comming by today to design and build some fly bars for em. And no I would still use QSC. Like I said I have used them all from JBL Srx. mp's to Peavey's Qw's and even tried some Mackies for around three gig's. They are built very well and i wish I could fly em on the Horz. 18 of 21 people (85.71%) found this review helpful. Did you?